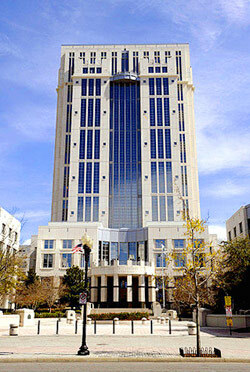 About Us | Alvarez, Winthrop, Thompson & Storey, P.A. When Raul Alvarez and Griffith Winthrop first decided to pool their talents in 2000, it was with the distinct understanding that clients deserve to have legal counsel they can trust – someone who has their best interests at heart. A&W has since grown into a firm that is known for its aggressive protection of clients – both in and out of court. A Martindale Hubble® AV Rated® law firm, A&W assists clients in the areas of general liability, commercial and business law, health care law, real estate law, litigation and alternative dispute resolution. Unlike many larger law firms with a Florida presence, A&W’s attorneys all live in the state and are experienced in helping clients navigate the Florida legal system in both state and federal courts. Florida attorneys who stand by their word and promise honest fair billing practices; you get what you pay for and nothing less. Florida Attorneys who bring considerable experience to bear in advising clients on close calls and tough issues that impact their personal and professional lives.